GIS users routinely encounter key questions about the data needed for their projects: Where did the data come from? Is this the best data available? How can the data be loaded to make it work? What about creating original data? With a broad range of GIS data options to choose from, knowing how to find, select, and use the most appropriate resources for different purposes is absolutely essential in order to keep costs down and make the most of the technology. 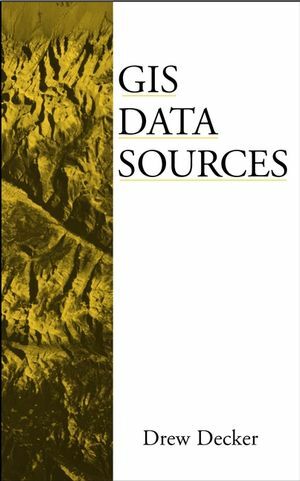 Filled with crucial information for today's GIS users, this book offers a comprehensive, straightforward reporting on GIS data sources--what they are, hot to find them, and how to determine the right source for a given project. Beginning with a thorough review of the basic GIS data types and groups, GIS Data Sources shows hot to define specific data needs for a project and accurately envision how the data will look and act once it is applied. The next step is to locate and obtain the data. Here the book presents a wealth of data sources, with added guidance on creating original data and important information on suitable applications for different types of data. Nuts-and-bolts material on data formats, media, compression, and downloading helps users acquire and use GIS data easily and avoid the technical snags that can slow a project down. In addition, the book's extensive resource listings provide details on where to find GIS information on the Internet, and a complementary Web site (www.gisdatasources.com) provides further data links and updates to help jump-start your projects. With invaluable time-and cost-saving advice and answers to a host of common GIS data questions, GIS Data Sources is a powerful new tool for users of the technology in any field. Drew Decker is Texas State Cartographer with the Texas Natural Resources Information System in Austin, Texas. He serves as Co-chair of the Texas Geographic Information Council's Technical Advisory Committee and is the Project Manager of the Texas Strategic Mapping Program. Applying the Data--Envisioning a Finished Product. How to Obtain GIS Data. When Data Don't Exist, How Can We Make It? Keys to GIS Data Success. Common Problems Encountered in Using GIS Data. Notes on Appendices: GIS Data Sources. Appendix A: U.S. Federal Sources. Appendix B: U.S. State Government Sources. Appendix C: U.S. Local and Regional Sources. Appendix F: Other GIS Sites of Interest.